Red Lodge Veterinary Clinic is a full service medical and surgical facility located 60 miles southwest of Billings at the foot of the Beartooth Mountains in beautiful Red Lodge, Montana. Our team ensures that we offer state-of-the art, compassionate and safe care to all of our patients. At Red Lodge Veterinary Clinic, we focus on Equine Sports Medicine and surgery with an emphasis on the treatment of lameness and podiatry health issues. We are also a full service small animal hospital and boarding facility offering comprehensive care in a friendly and comfortable atmosphere. In addition, we offer bovine veterinary service to the area. Red Lodge Veterinary clinic is once again offering large animal ambulatory service and 24 hour emergency care to the greater Red Lodge Community. 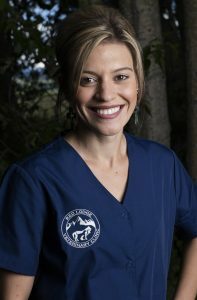 Casey is a Montana native from Joliet and graduated from Colorado State University School of Veterinary Medicine. He completed a one year internship at Pioneer Equine Hospital in Oakdale, CA. Dr. Gruber joined Moore Equine Veterinary Centre in Calgary, Alberta in 2009 where he served as an associate veterinarian for 6 years. 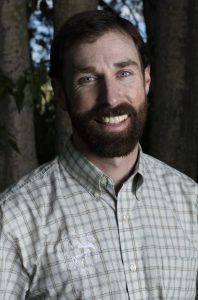 In 2015, Dr. Gruber returned to Montana along with his family and joined Red Lodge Veterinary Clinic. His clinical interests include equine lameness and medicine, podiatry and pre-purchase evaluations. Dr. Gruber also looks forward to providing bovine and small animal veterinary service to the area. 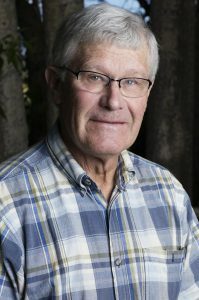 John graduated from Colorado State University School of Veterinary Medicine in 1972 and has been practicing in Red Lodge since 1974. Dr. Beug has clinical interests in Equine Medicine and surgery, Equine lameness, and podiatry (esp. Laminitis), as well as small animal wellness, and elective surgeries. Ellis G. Farstvedt, DVM, MS, Diplomate ACVS, is a board certified equine surgeon. Dr. Ellis has been a great colleague and friend. His expertise and assistance in consultation, Arthroscopic and Endoscopic surgery and referrals has been a tremendous asset to our practice and Patients. Dominique Gruber, RVT – Practice Manager. 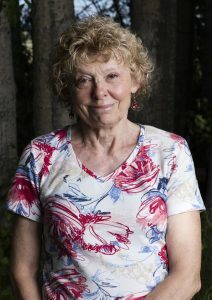 She grew up on the Sunshine Coast of British Columbia. 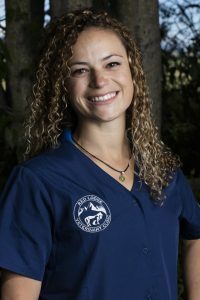 At 15 years of age she started her career in the veterinary industry at a small animal practice on the Sunshine Coast, since then she has gained experience in multiple private veterinary practices. In 2012, she graduated from Thompson Rivers University as a registered Veterinary Technician. Her professional interests include canine and feline nutrition counseling, dentistry and preventative care. Dominique has shown Andalusian horses in Canada and the US and traveled around North America as a show-jumping groom. Dominique and Casey have three children together and spend their ‘down time’ hiking, skiing, and exploring the many beautiful areas around Red Lodge. Susann (Sue) Beug – Sue manages our boarding facility and keeps the RLVC facility in working order. Heather Schoeller, BSc – Lead Technician, is originally from Homestead, Florida. She moved to the Joliet/Roberts area in 2002. She attended Joliet High School where she graduated with honors in 2009. From there she graduated from Montana State University with a Bachelor’s degree in Animal Science and started working at the practice in May of 2013. When she is not assisting with both large and small animal appointments, and surgeries she enjoys hanging out with friends. She also enjoys hunting, fishing, horseback riding, pretty much anything outdoors and spending time with her pups Whiskey, and Kita. Katie Day grew up in eastern Montana and graduated from Circle High School in 2006. She grew up on a ranch, participated in 4H, and competed in high school and college rodeo. Katie attended the University of Montana Western in Dillon, where she studied equine management and psychology. She believes animals, especially horses, can be amazing for the human soul. Katie married her husband in the summer of 2009. Shortly after, they moved to Billings and then to Roberts. She lives on a small ranch, with her husband and two children. Katie enjoys spending time riding horses and playing with her dogs. She loves being outside whether on fishing trips or just gardening at home.